Give the gift of love, Henna - Temporary Tattoo, Everlasting Impressions !! Henna Arts Gift Cards from $10 - $100. Pay by any credit card. Choose the amount and click on the picture of gift card. You will be taken to secure site where you can pay by any credit card or PayPal (PayPal account is not required). We will e-mail you the henna gift certificate which you can print at home. We can also send customized gift card with your and recipient's name. If you like, we can ship it to your choice of address within 24 hours. Henna Arts gift certificates never expire and are valid for all Henna Arts services provided in Austin, TX. Please call, email or text us at 512-961-6662 with any questions. Mandala (in Sanskrit - मण्डल ) means "circle". 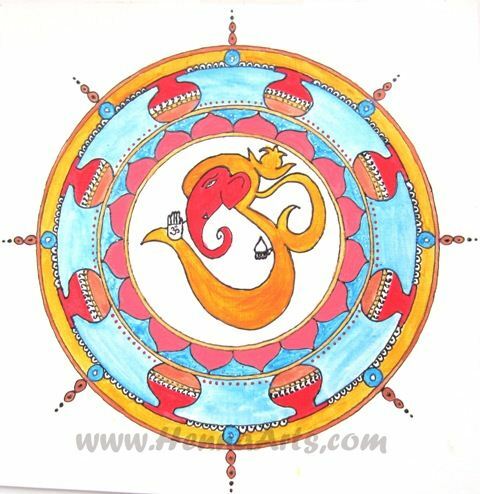 In the Hindu and Buddhist religious traditions, their sacred art often takes a mandala form. Mandala is a container of essence. As an image, a mandala symbolizes both the mind and the body. 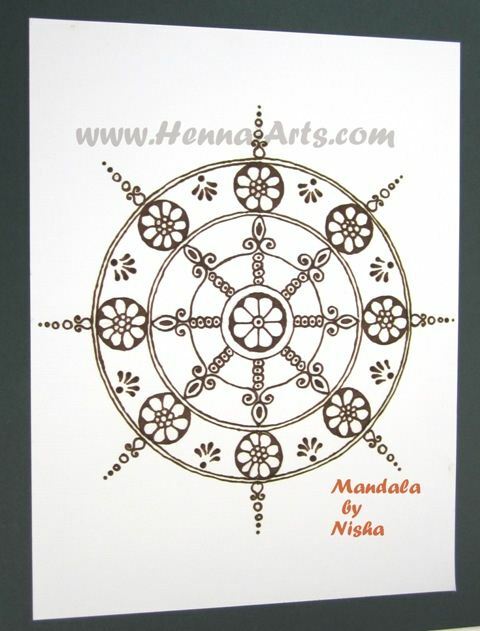 In various spiritual traditions, Mandalas may be employed for focusing attention of aspirants and adepts, as a spiritual teaching tool, for establishing a sacred space, and as an aid to meditation and trance induction. 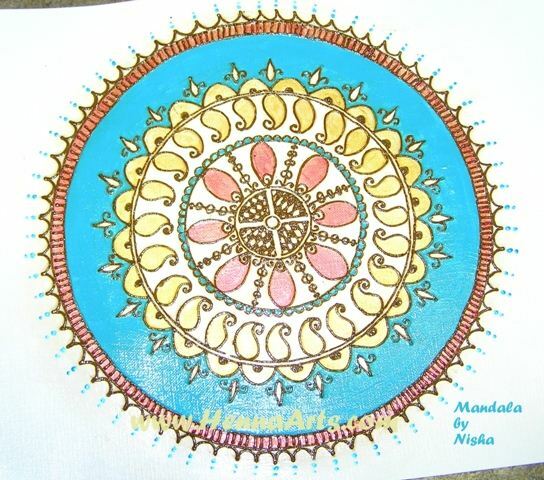 Here are some of the creation of Mandala by Nisha. The outlines are drawn by Henna paste which gives three dimensional effect. Each piece is unique. 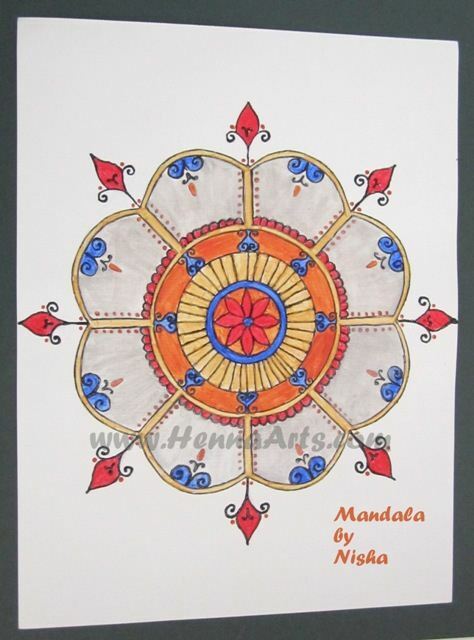 Size of these Mandala canvas are 8 in x 10 in and price ranges from $30 to $80.